Stylish appearance at an attractive price: The Sharkoon VG5-V impresses not just with its optical details. Thanks to the brawny design of the front panel it is definitely an eye-catcher. 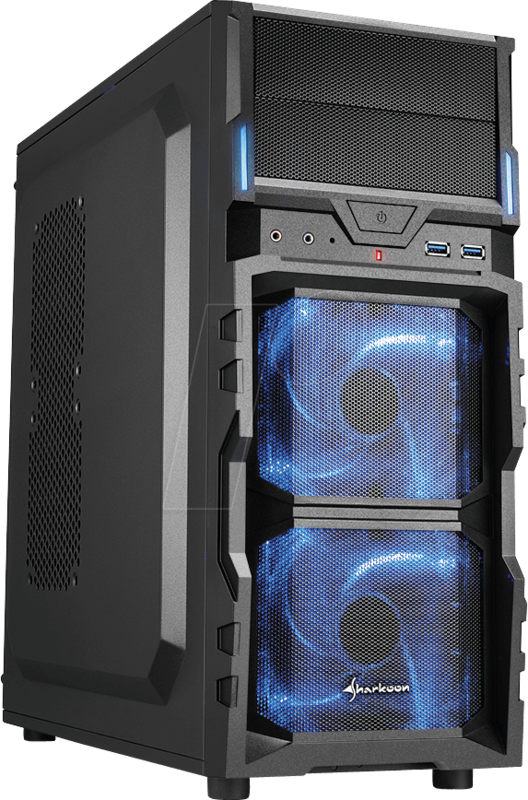 The black ATX case features in the front two blue illuminated 120 mm LED fans, two USB 3.0 connection options and easily accessible audio ports. Especially practical is the cableless front panel design of the VG5-V: The panel can be effortlessly removed at any time without having to first detach any cables from the front ports. This makes the installation of 5.25" drives a breeze. The broad side panels of the VG5-V offer enough space for the easy installation of tower coolers with a height of up to 16 cm. Graphics cards with a maximum length of up to 31 cm can be installed; up to 38.5 cm with the middle HDD cage removed. Maximum length for power supplies is 25 cm, plus a suitable dust filter is pre-installed on the case bottom. 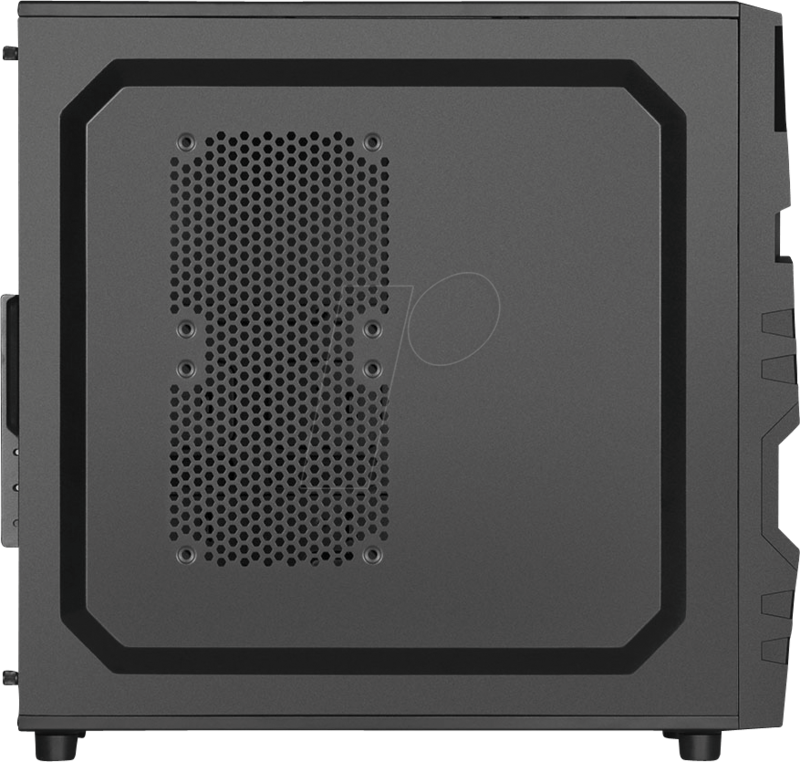 The VG5-V also offers a useable CPU cooler cutout, two water cooling openings as well as a convenient cable management system. 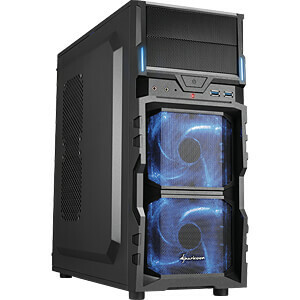 For efficient airflow inside the case, two 120 mm LED fans are pre-installed within the front panel. 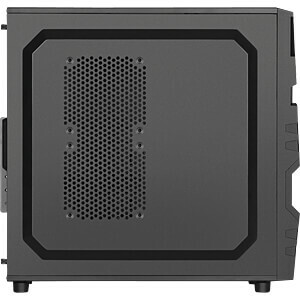 To further enhance airflow inside the case, two optional 120 mm fans can be mounted on the side panel. 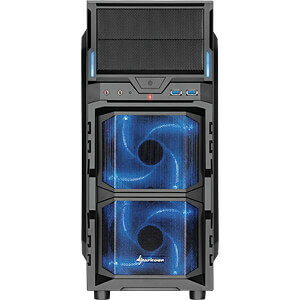 In the rear panel an additional 120 mm fan can also be mounted. Two USB 3.0 as well as two Audio ports in the front panel provide quick access to connect peripheral devices. 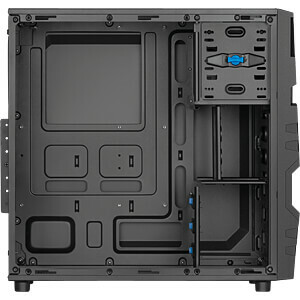 The ATX case offers two 5.25" drive bays for optical drives, one of which is installed tool-free. 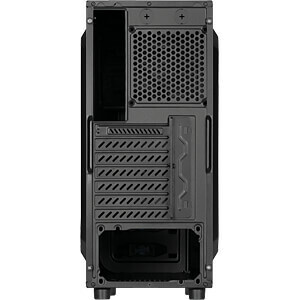 By means of the enclosed 5.25" to 3.5" bay cover and mounting frame, a 3.5" card reader can, for example, be quickly and easily installed into one of the two 5.25" drive bays. Internally, three 3.5" hard drives can be easily installed tool-free. 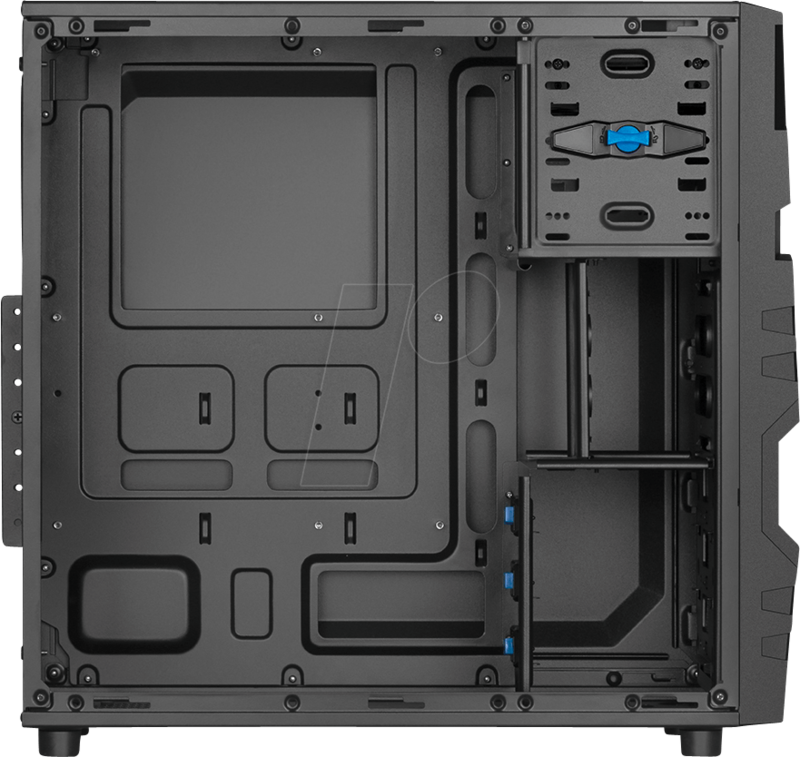 Up to three 2.5" HDD/SSDs can be fitted into the middle HDD cage, while there is also space for an additional 2.5" HDD/SSD on the bottom of the case.